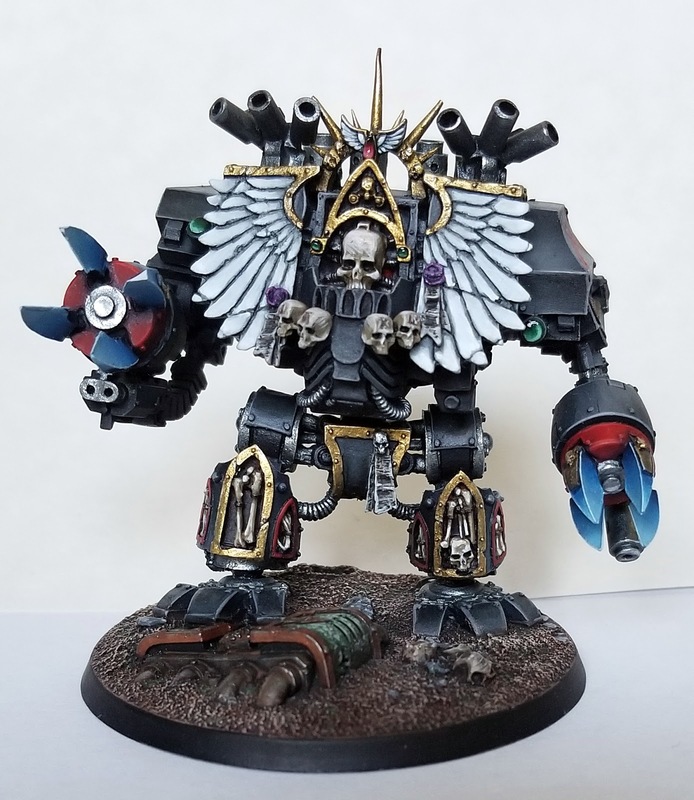 Hobby and Gaming in the 41st Millennium, from the farthest reaches of the galaxy to the nearest Attic and Basement dwelling! Here we are focused primarily on Narrative gaming, painting and epic battles! 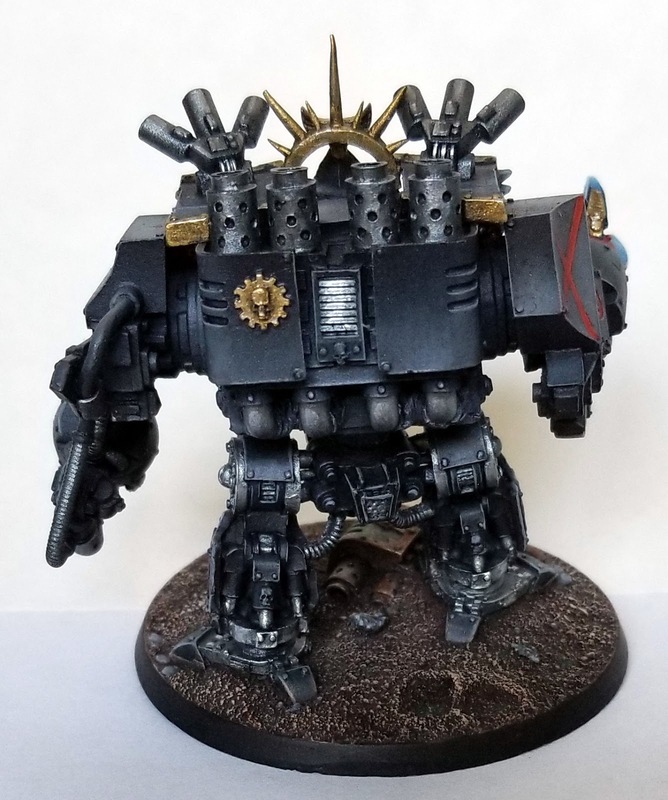 Here's the Death Company Dreadnought, I'm not as happy with the black armour on this guy, but the unpainted pile is too big to fuss now. If I eventually go back to touch-up the black, I'll have to re-touch this guy as well... he's almost 10 years old now! 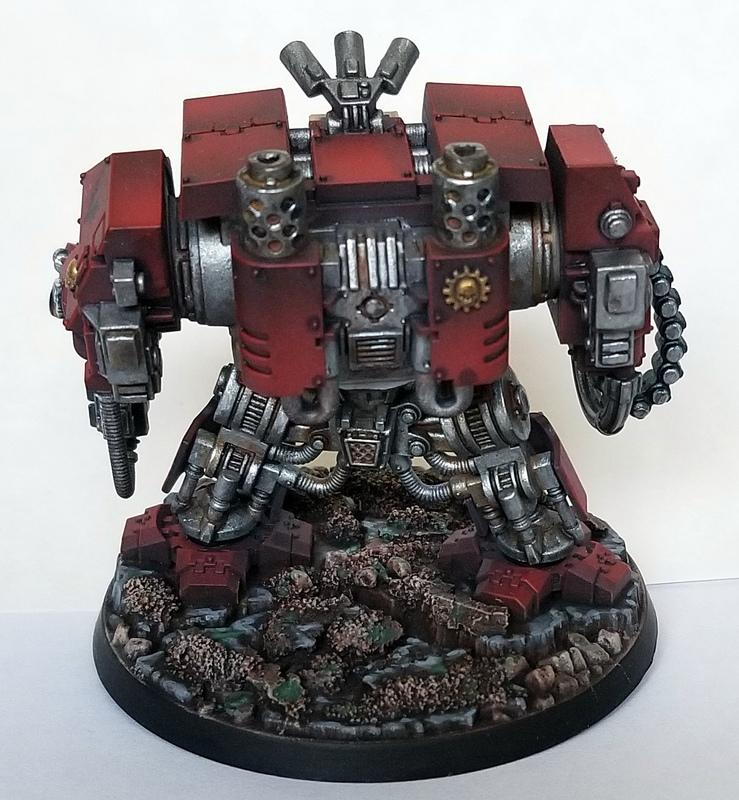 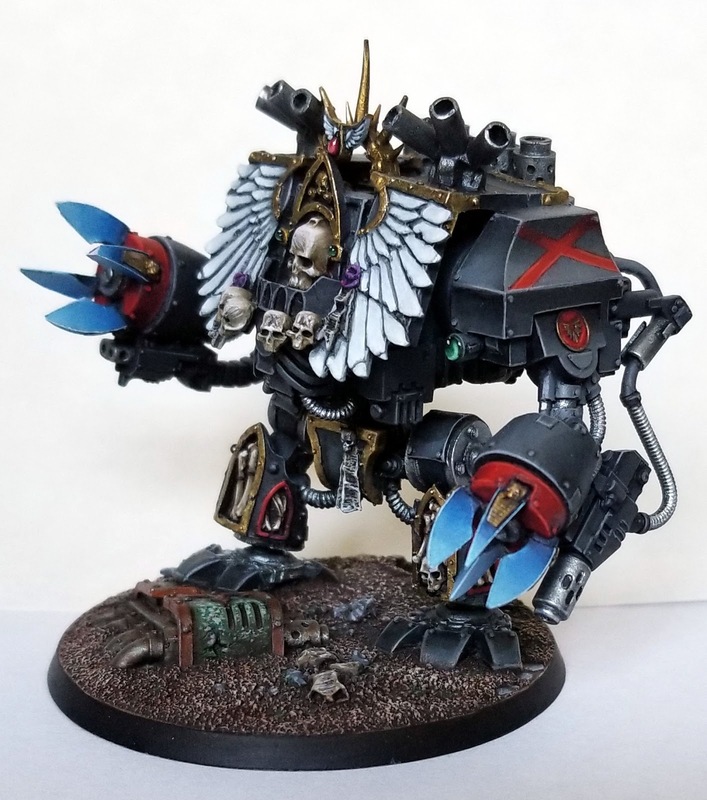 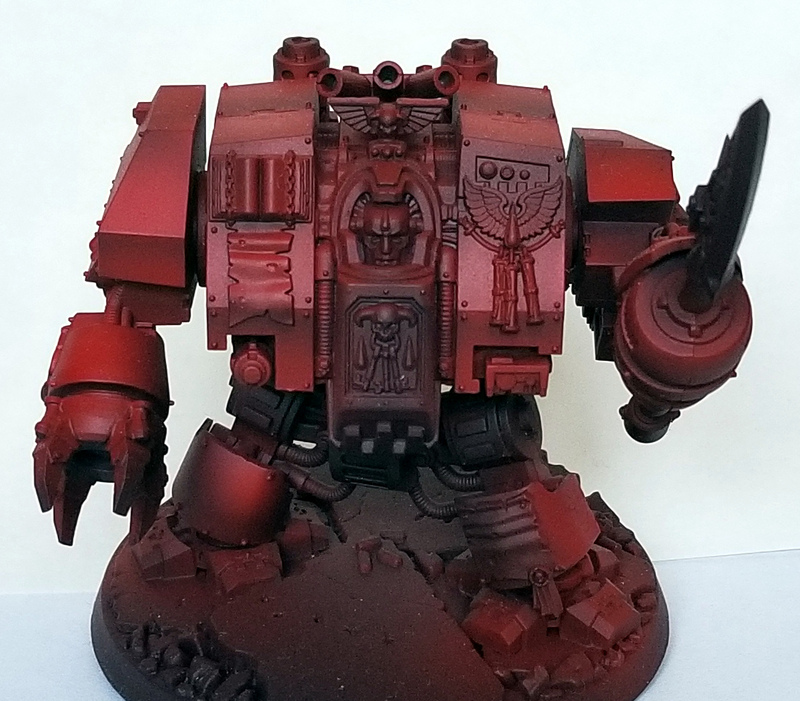 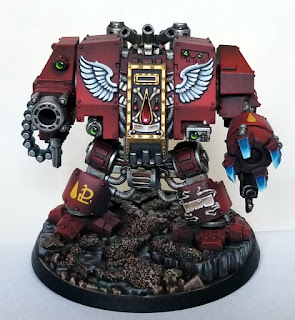 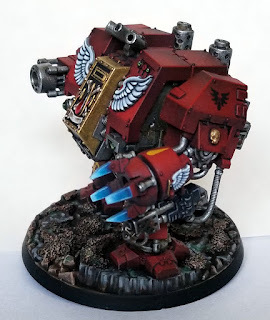 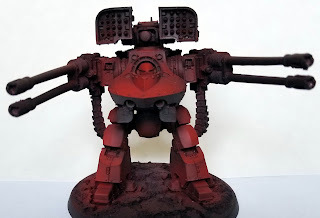 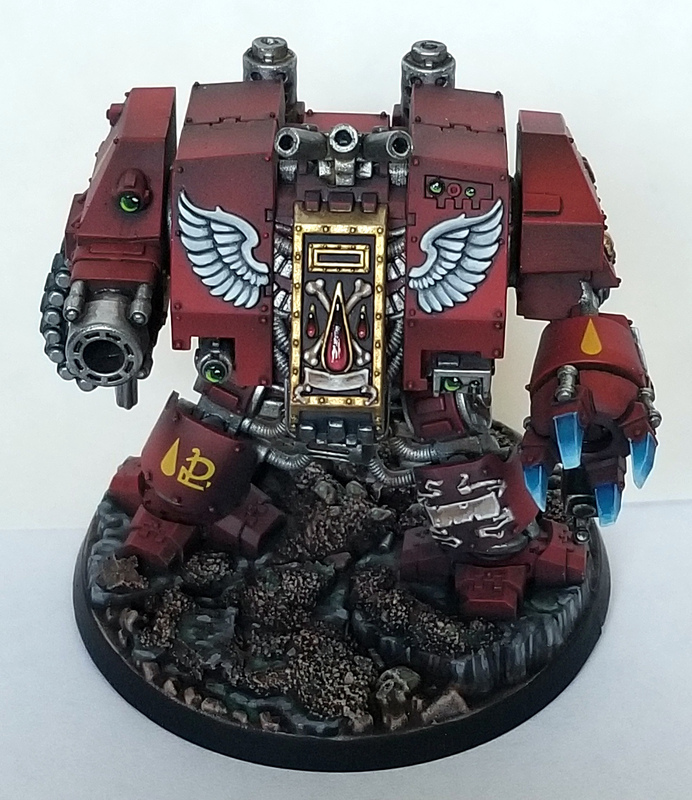 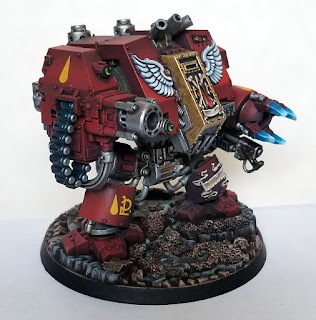 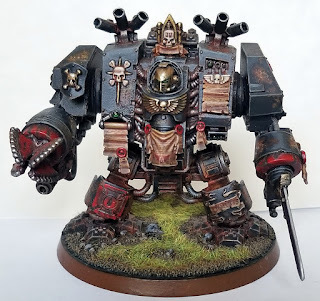 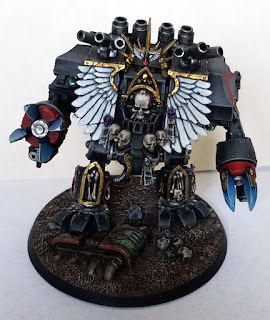 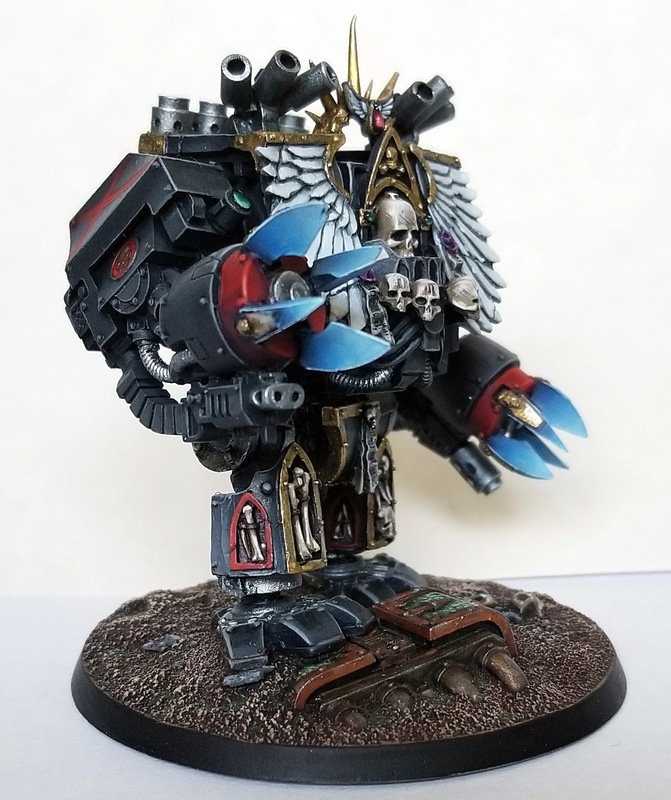 Imperial Knight - House Hawkshroud!